"... I'm convinced that what happened in Andizhan was impossible without some serious preparations and the experience gunmen had accumulated in Afghanistan and other hot spots. The Ferghana Valley is the territory that spawned Yuldashev, Namangani, and other so called "charismatic" ringleaders. Whenever anything aiming to disrupt the situation in the valley happens, it happens with their involvement..."
Who was behind the events in Uzbekistan this May? To what extent does Akromija, the movement blamed for organization of the rebellion in Andizhan, maintain contacts with Takhir Yuldashev's gunmen? What are the actual military and financial capacities of the Islamic Movement of Uzbekistan (IMU)? Ferghana.Ru correspondents sought answers to these questions in the southeastern part of Iran, in the city located near the borders with Afghanistan and Pakistan. Meetings with former gunmen of the IMU took place in the Iranian city of Zahidan. The IMU gained notoriety in the course of the so called Batken events in the autumn of 1999 when its armed gunmen numbering 200 to 700 men (by different estimates) invaded the southern part of the Ferghana Valley in Kyrgyzstan from the territory of Tajikistan. Following the events in Andizhan (Uzbekistan) this May, media outlets hastened to pin the blame for the massacre involving seizure of administrative structures and military garrisons on IMU gunmen. Numerous sources accused the IMU as organizer of the terrorist acts against state power structures and local noncombatants. 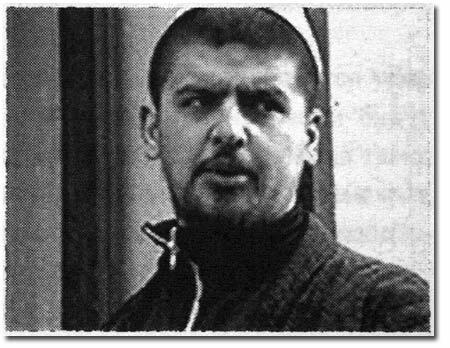 The Uzbek authorities announced that leadership of the Andizhan Akromijans had had contacts with the outlawed Hizb-ut-Takhrir and IMU. President Islam Karimov said at his press conference for foreign journalists on May 15 that the rebels in Andizhan had used cell phones to call someone on the territory of Afghanistan. Foreign Minister of Russia Sergei Ivanov was not any less specific. "We have fairly reliable information. What happened in Andizhan was orchestrated from the territory of Afghanistan," Ivanov told the Russia-NATO Council. "Armed gunmen of Islamic organizations including the Talibs planned an invasion of Uzbekistan." Other reports on direct contacts between the rebels in Andizhan and Islamic terrorists appeared later. Mosikhuranov (or Masikhuranov - exact spelling is not known), former head of the IMU counterintelligence service, said in an interview that gunmen of the so called Islamic Jihad of Uzbekistan had been involved in the events in Andizhan. According to Mosikhuranov, this group split from the IMU to operate independently. Our stay in Zahidan dispelled all fears and changed our ideas on "bona fide" gunmen. We saw ordinary Uzbeks who had been driven from their native country by the campaign of harassment and pressure mounted by the authorities. We saw Uzbek women who had been compelled to flee Uzbekistan with their toddlers in tow merely because their husbands were "the bearded Wahhabi". We talked to the ordinary young people, the deceived. Once adoring Yuldashev as a bona fide "national hero", they are now refugees unsure of what tomorrow will bring. They are from Andizhan, Namangan, Ferghana, Tashkent, Bukhara, Khorezm, Osh, Khodzhent. These people were eager to meet with Ferghana.Ru correspondents and talk of what had happened in Central Asia since 1999 - and get details of the events in Andizhan on May 13, 2005, in return. "The Uzbek authorities have only themselves to blame for appearance of the Islamic Movement of Uzbekistan as an independent organization," the refugees said. A campaign against religious leaders was launched in the wake of the events in Andizhan in 1991. All imams of all major mosques in the Ferghana Valley (including those on its Kyrgyz territory) were either exterminated or jailed. Aware of and participating in the Islamic revival under way, local businessmen began setting up special trusts and companies under the guise of mosques. All taxes collected there were channelled into religious revival. A trade company with the turnover amounting to $500,000 was established at Djami, the central mosque in Andizhan where the famous Abduvali-kori Mirzayev served as the imam. Mirzayev was arrested in 1995 and never seen again, the venture eliminated, all its assets turned over to the state. "The Islamic Movement of Uzbekistan was formed in Tajikistan - with the help from the local authorities and, also importantly, with the Russian army and border guards keeping an eye on the process," the former members of the IMU said. When the United Tajik Opposition the IMU was an element of made peace with the secular authorities of Tajikistan, followers of the IMU were compelled to flee to Afghanistan via Outpost 4 where they were "assisted by Russian secret services." "Men from all over Central Asia have been coming to join the IMU since 1997. Uzbeks, Tajiks, Uigurs, Kazakhs, Tatars, Turkmens became IMU members. The intifada (uprising) boiled down to the war on Islam Karimov's regime precisely... Yuldashev became the "national hero" for believers. 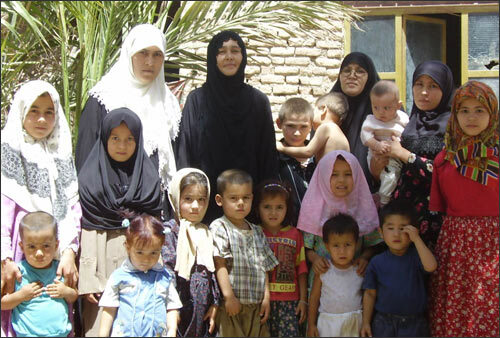 Whole families - even with children - used to come to join him from all over Central Asia. Harassed by the authorities, people sold all their worldly belongings and joined Yuldashev," the refugees said. "In fact, even children and old men could join the IMU, but only the mujarrats (young single men) participated in the hostilities as such. Many of them took up the arms under duress. These men were trained in the camps in Afghanistan..."
Most ex-members of the IMU say Yuldashev deceived them. Idealistically believing that they were to fight "for the future of Uzbekistan" at first, they found themselves essentially hostages of their leader. "Very many young men without families were dispatched by Yuldashev to fight the Northern Alliance in Afghanistan," a former gunman said. "As a matter of fact, Yuldashev even sold some young men as slaves to field commanders." The Islamic Movement of Uzbekistan was established in 1996. Takhir Yuldashev is believed to be its organizer and ideologist. Yuldashev speaks several languages (Russian, English, Farsi, Arab, Urdu). He is a glib speaker, capable of finding an appropriate quote from the Kuran or Sunna to answer practically any question. "The uneducated take him at face value. The educated do not challenge Yuldashev even when he makes up arguments he claims coming from the khasids to back some point of view." Ex-members of the IMU say that "Yuldashev is cruel. Whoever challenges him is immediately ordered executed or jailed..."
"The IMU had the support of immigrants of the first wave, namely Uzbeks and Tajiks residing in Afghanistan and Saudi Arabia. Still, it was someone else who coordinated its actions," the refugees said. "Yuldashev was taking his orders from someone. That the IMU was financed by some wealthy Saudi sheikhs is a myth." "There was a period when some residents of the Ferghana Valley and Uzbekistan in general sympathized with the IMU. Its activities in the country were coordinated by a special council. Comprised of the men chosen for personal loyalty to Yuldashev, this body was in charge of recruitment programs as well." Former activists of the IMU currently residing in Iran say that Yuldashev was supposed to become "a gatherer of all with grievances against Karimov's regime" and "lead them out of Uzbekistan." "They were waiting for us in Uzbekistan when the events in Batken were under way, but Yuldashev deceived everyone," to quote the men who belonged to IMU armed detachments once. Ex-gunmen suggest several hypotheses of what happened in Batken in 1999-2000. Hypothesis One. Yuldashev launched the operation under pressure because his followers were getting restless and demanded an attack on Uzbekistan. Yuldashev deliberately organized the offensive in a slipshod manner to make sure that it would fail. It did, because the force assigned was actually small and incredibly clumsy. Hypothesis Three. "The Batken operation" enabled Yuldashev to ship a major consignment of drugs from Afghanistan for which he was handsomely paid. His former followers are convinced that Yuldashev "has a great deal of money stashed abroad" and call him "extremely wealthy". "The IMU practically split when the counter-terrorism operation in Afghanistan was launched and field commander Djuma Namangani was killed," Ferghana.Ru correspondents were told in Zahidan. What remains of the organization nowadays comprises three major groups. One. Yuldashev's own group. It is quartered somewhere in South Waziristan, a border area between Afghanistan and Pakistan populated by the tribes that live in the mountains and do not recognize Afghani or Pakistani jurisdiction. Infrequent volunteers from Central Asia do join Yuldashev's group even now. Weapons with munitions (of Russian make, mostly) and drugs are regularly shipped to Waziristan and Yuldashev's camp. The group is currently surrounded by units of the Pakistani regular army but help from local tribal chieftains has enabled Yuldashev to avoid capture so far. Numerical strength of the group is anyone's guess, but Yuldashev's former followers estimate it at a couple of hundreds. Two. This is the largest group comprising the men who grew disillusioned in Yuldashev and opted to leave him. Yuldashev's ex-followers are encountered in Iran, Pakistan, Turkey, and Middle East nowadays. As a rule, these are adult men with families who wish they never joined Yuldashev in the first place. They claim that Yuldashev tricked them and never lived up to the expectations. "He is but a protege of Russia and Uzbekistan," they say. Men who know what they are talking about say that getting out of Yuldashev's camp is not easy at all. "Yuldashev does not hesitate to brand whoever is leaving without permission as a murtad or apostate and order his or her execution. This is what happened in Peshavar not long ago when a coach with seventeen members of the IMU (there were six women among them) was blown up on Yuldashev's order," the refugees said. Whoever escape with their lives find themselves entirely on their own, their future problematic. They do not have any papers. Yuldashev collected their papers in the past and then announced that the safe with documents perished in an air raid. These days, there are about 300 men with families in Peshavar (Pakistan), about 100 in Iran, and more than 200 in Afghanistan. Not a single one of them has any papers. Three. The third group of former IMU activists comprises those who have already returned to Uzbekistan. Several years ago, the Uzbek leadership amnestied everyone who had been involved with the IMU and other terrorist organizations. Promises of the authorities notwithstanding, whoever made it back to Uzbekistan was immediately arrested. "Most of them were set free again after questioning, but very many others on their way home became frightened and settled in Kyrgyzstan or Tajikistan," the refugees said. This group is scattered all over Central Asia. Its representatives may be encountered in Uzbekistan itself, Kyrgyzstan, Tajikistan, Kazakhstan, and Turkmenistan. Some experts are convinced that members of the IMU did take an active part in the events in Andizhan. Alexander Sobyanin in his article "The US Will Split Uzbekistan Into Two Parts" maintains that "armed Islamists and their political wing coordinate their efforts. 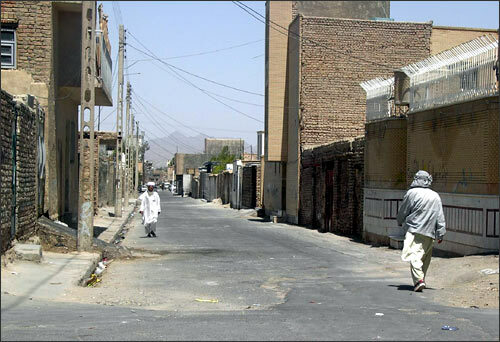 Combatant forces were comprised o superbly trained gunmen of the Islamic Movement of Uzbekistan who came from the Tajik- and Uzbek-populated areas of North Afghanistan through the valleys of the Obihingou and Kyzyl-Su/Surkhob. This was a truly international bunch that included Uzbeks, Tajiks, Kazan Tatars, and Kyrgyzes..." Ex-activists of the IMU say, however, that Yuldashev with his small gang can neither finance action on that scope nor participate in it at this point. These children were born in different countries - Uzbekistan, Tajikistan, Afghanistan, Pakistan, Iran... They do not go to school, have birth certificates, or receive any grants. They speak the Uzbek language of their parents. Former activists of the IMU maintain that "the events in Andizhan were organized by other people altogether." They believe that "there is a powerful opposition in Uzbekistan itself. The matter concerns the old party nomenclature Karimov ousted at the very onset of his reign. Ousted or not, these men have certainly retained contacts and clout." Ikbol Mirsaitov - political scientist, author of the monograph "Political Islam In The Ferghana Valley"